Dorothea Pearl Burton Lewis was born April 15, 1931 in Leavenworth, Kansas to the late Cecile Holloway and William Burton. She gracefully transitioned from her earthly journey to her heavenly home on January 15, 2019. Dorothea attended the local school system in Leavenworth, Kansas. She was employed by the Hartford Public School System as a paraprofessional. While employed, she also attended St. Joseph College where she received her Bachelor's Degree in Education. Dorothea furthered her career as a certified teacher and later retired after many years of service. Dorothea dedicated her life to her family, loved ones, and community. She was actively involved with various youth and church organizations. 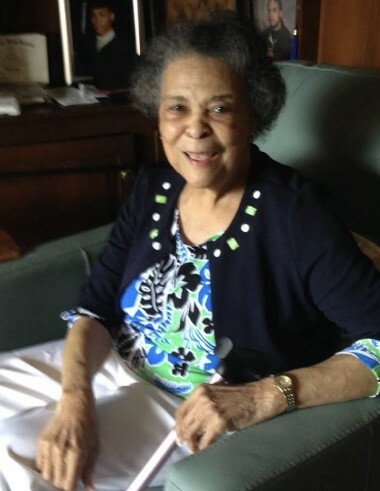 She was a lifelong member of Union Baptist Church. In addition to her parents, Dorothea was preceded in death by Byron McClanahan, George Shannon, and Harold Lewis. Dorothea leaves to cherish her precious memories her six children, Deborah (Neil) Kingcade, Merry (Everett) Fredericks, Brenda Hendrix, Geoffrey Shannon, Byron (Gail) McClanahan, and Valerie (Alex) Johnson; two sisters, Marjorie Dallas and Marion McReynolds; and a host of loving grandchildren, nieces, nephews, other relatives, and friends.